Above: The elevator. 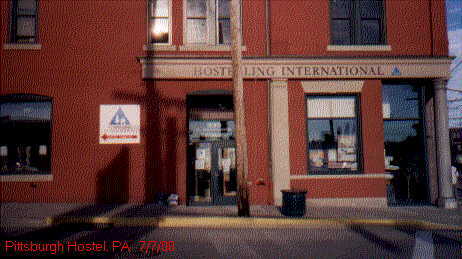 The Pittsbugh Hostel used to be a bank. They have cleverly converted the heavy duty safe into an elevator. Left: Dining area off the kitchen. Above: My bunk. Had the room to myself again. Pretty good view of the city. And it wasn't noisy at all. Fell right off to sleepy sleep land. 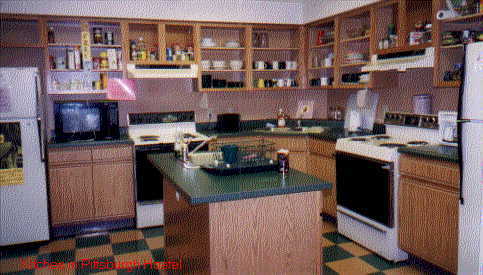 Right: What a kitchen! It's cleaner than mine (well, that's not a fair comparison because everyone's kitchen is cleaner than mine). 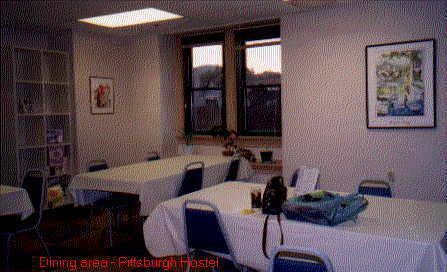 There was a piano room and a library for anyone who wanted to use it. 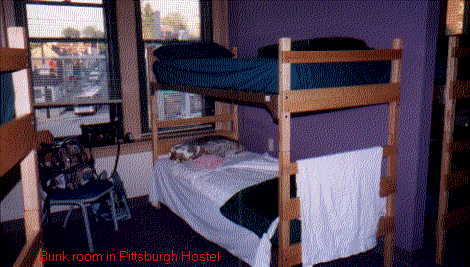 Even though this hostel was in the city, it wasn't bad because it wasn't in a super-crowded area. And there was plenty of parking that looked fairly safe. 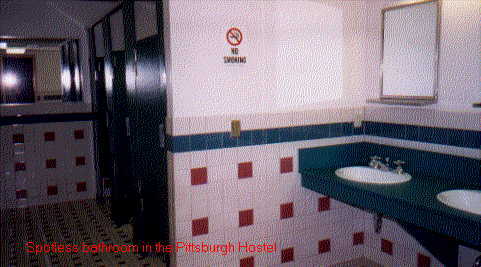 The first thing I noticed about the Pittsburgh Hostel was that it was immaculate. Very clean. And the manager and workers were friendly & helpful. It's located in a renoveded bank building. 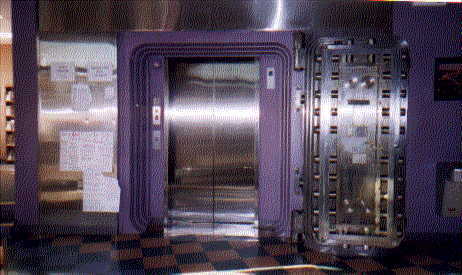 It seemed a little strange getting into what looked like a bank vault to ride the elevator upstairs. But it was neat!